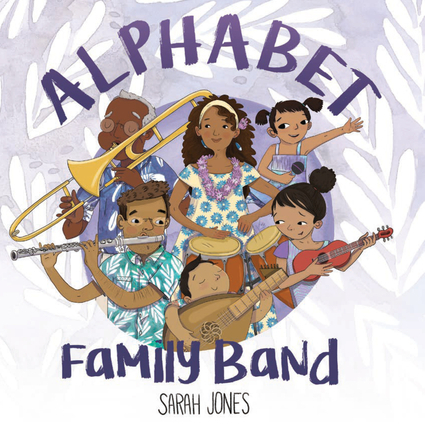 Add a little rhythm to your ABCs with this latest addition to the ROYGBaby series.Grab your congas, flutes, and xylophones—it’s an Alphabet Family Band! Bright, colorful illustrations feature members of a family playing a host of different musical instruments in a warm island setting. Harmoniously combining two concepts (letters and music), this lively board book will soon become a family favorite! Sarah Lucia Jones is an artist and author living in Cincinnati, Ohio. When she's not painting creative critters in her studio, Sarah can be found playing guitar & leading story time at the award winning Blue Manatee Children's Bookstore, where she works and plays.